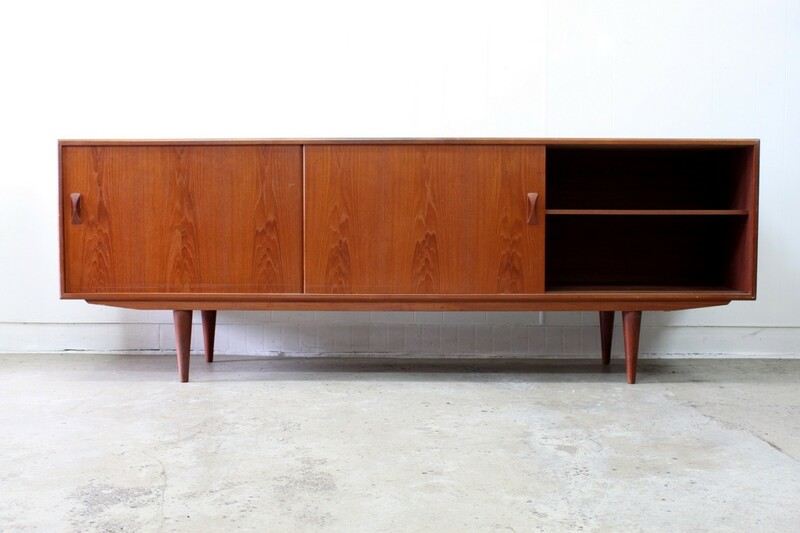 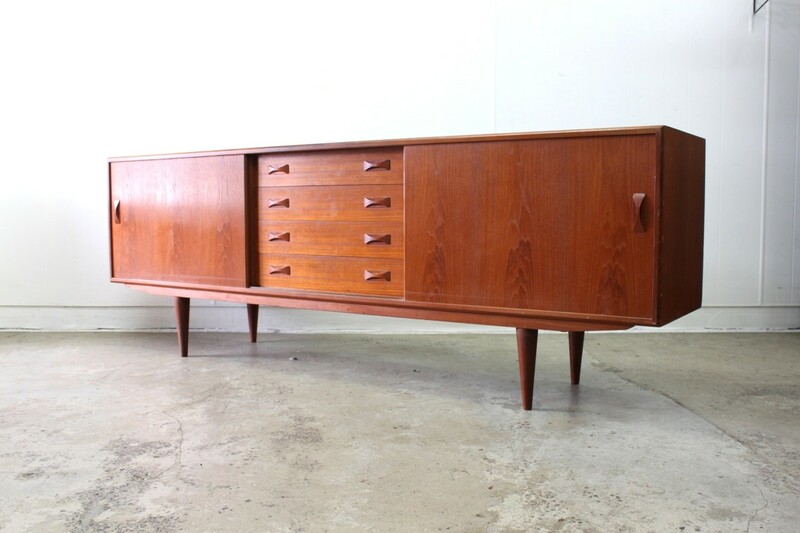 Mid century Danish sideboard in teak. 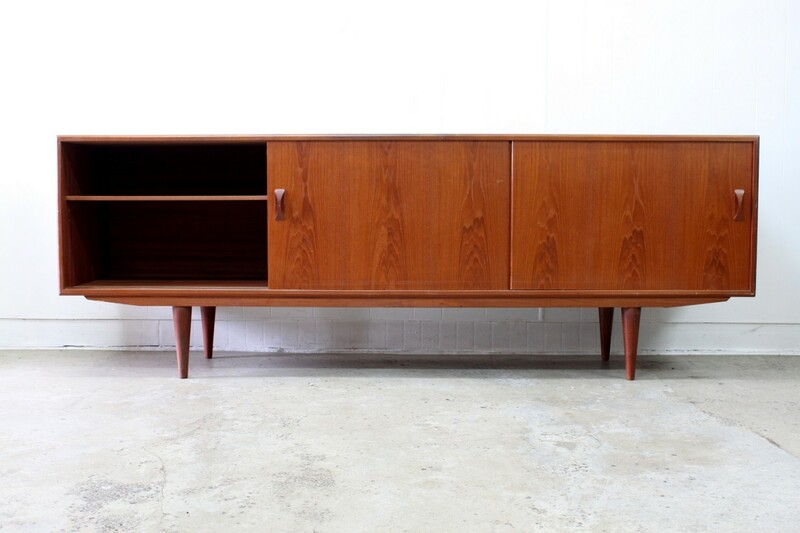 Designed & manufactured by Clausen & SØn, Silkeborg. 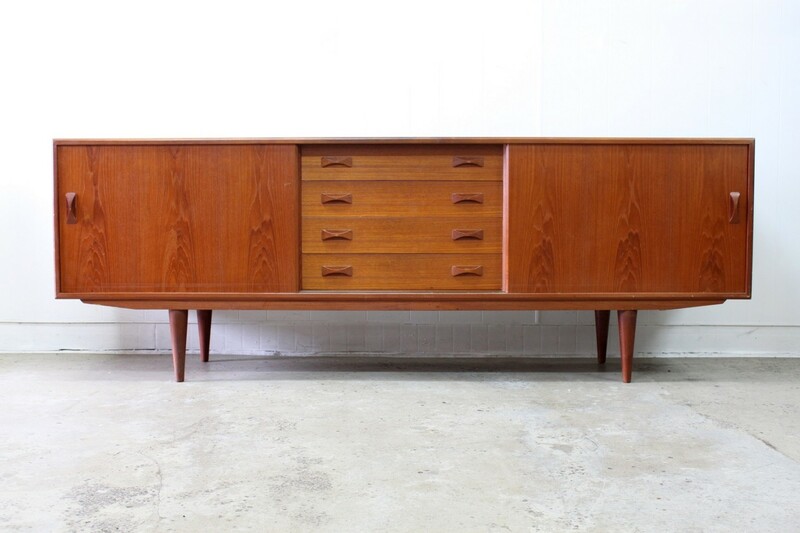 It features the classic configuration of a bank of four drawers in the centre with sliding doors either side finished off with solid teak bow tie handles. 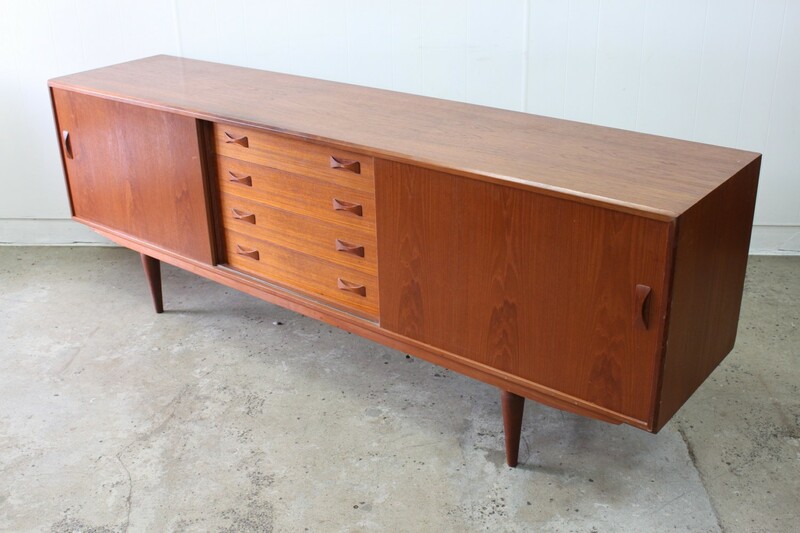 This is a timeless design and the perfect piece to finish off your home with a bit of character.